Oh man this dish is amazing and one of my favorite things to eat. It all starts with getting a great cut of sashimi grade ahi. You’re not going to find that at your regular grocery store so you need to find a local fish market or seafood restaurant that sells it. Alternatively you can go deep sea fishing and hope to catch something but the local fish market is probably your best bet. 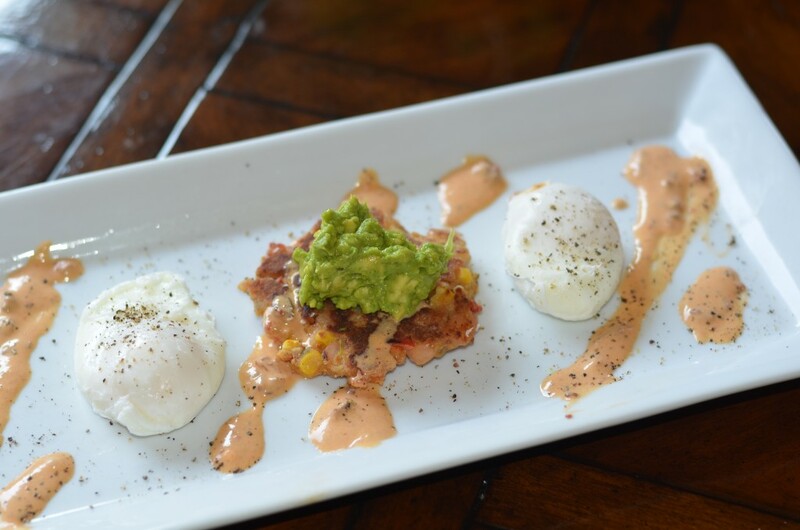 A fresh piece of ahi is what makes or breaks this dish. The last thing you want is a fishy smell or taste from a cut that isn’t fresh so don’t even bother with this unless you have the right piece of ahi. It should be bright pink, firm and have no fish smell. Rinse off the cut of ahi and pat down with a paper towell. Thinly slice (about 1/4 inch) the ahi into pieces roughly 1” by 2′. In a bowl, dice up the avocado, squeeze in the juice of one lime and then salt and paper to taste. 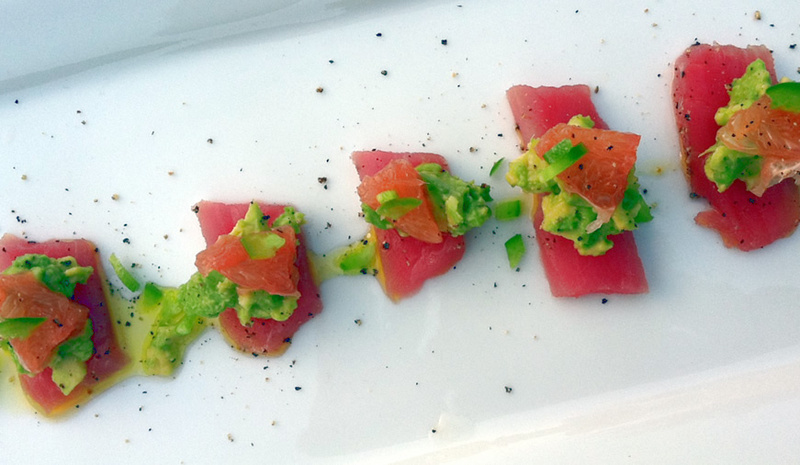 Finely dice up the jalapeno and peel the grapefruit so you have small slivers to top each piece of ahi with. 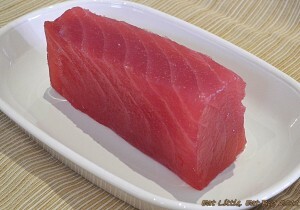 Now lay out the slices of ahi on a plate or serving dish and lightly drizzle with the lemon olive oil. Lightly salt each piece and then top each sliver with a small scoop of the avocado mix and then place a sliver of grapefruit on top of each. Sprinkle with the diced jalapeno and crack some fresh pepper over the top. If you don’t like the heat of jalapenos, skip that step. 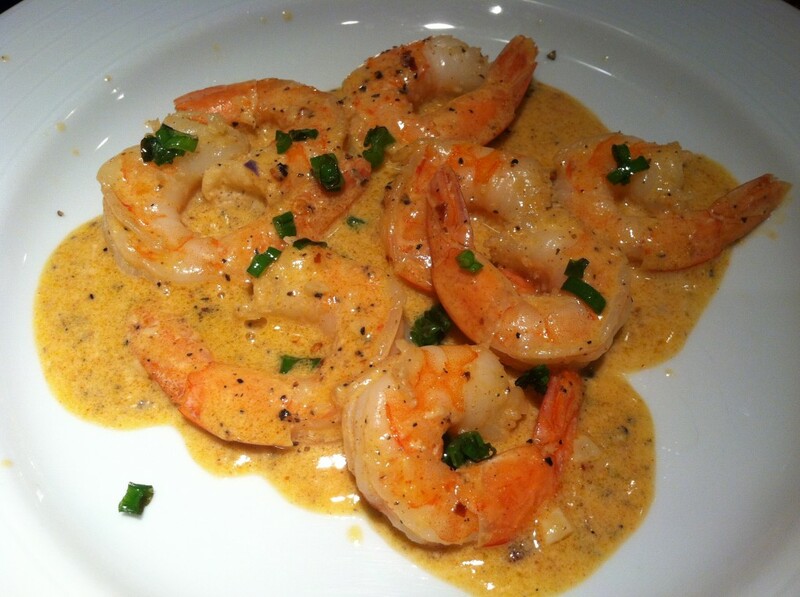 If you are using fresh ingredients, this should be a simple and incredibly tasty small plate.